Here at Affordable Windows and Construction Ltd, we always endeavour to offer energy-efficient products wherever possible. 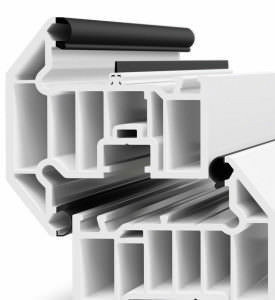 For this reason, we use Liniar for our uPVC windows and doors as they produce a highly advanced multi-chambered profile, the very best in the double glazing industry for thermal-efficiency and stylish design. For energy-efficient double glazed windows and doors in Slough, Burnham, Maidenhead, Berkshire, West London and the Thames Valley, we’re here to help. Our Liniar windows and doors contain clever dual functionality that gains free solar energy from the sun, keeping your property warm even in the colder months of the year. Window Energy Ratings (WER) were established by the British Fenestration Council (BFRC) in 2004, with the aim of easily comparing the energy-efficiency of windows. The energy rating is dependent on how much energy the window will either lose or supply the property of they year. In consequence, the window will be given a rating for A (best) to G (worst), in order to easily show the energy-efficiency of the product. Our Liniar double glazing is proudly accredited by the BFRC, a group that established Window Energy Ratings to find a simple method of comparing the energy-efficiency of uPVC windows and doors. Using a simple scale made up of rainbow colours, Window Energy Ratings give an easy way of telling just how energy-efficient double glazing is, and we’re proud to offer uPVC windows and doors that offer exceptional Windows Energy Ratings across the board. The Energy Saving Trust are a leading organisation helping people and businesses to reduce their carbon footprint. Every Liniar product is fully endorsed by the Energy Saving Trust, as a uPVC profile that can be trusted to significantly save energy. Our uPVC windows and doors are completely lead-free, as lead has been proven to be a known danger to our environment and surroundings. We are very proud to supply one of very few window systems to offer 100% lead-free products, keeping in mind the eco-friendliness of your Slough property wherever possible. 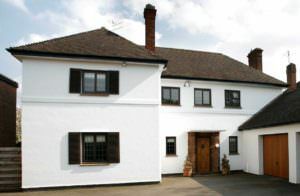 sustaining the temperature of your property and keeping it well ventilated. Our Liniar uPVC windows and doors are designed to keep warm air inside your home for longer, noticeably decreasing your heating bills and maintaining the temperature of your property. We endeavour to produce environmentally-friendly products wher ever possible, as we understand and share the commitment to being eco-friendly. Our uPVC windows come specially fitted with tight weather seals to prevent heat-loss and weather-damage, plus our double glazed windows are coated with a transparent metallic layer that reflects heat back to your living area. Choose Affordable Windows and Construction Ltd for environmentally friendly uPVC windows and doors that retain heat, and reduce your carbon footprint. Call us today on 01628 668577 for more information, or start your online quote for exceptional double glazing prices in Slough!